This holiday gift ideas post is brought to you by American Diabetes Association. All opinions are our own. Looking for holiday gift ideas and decor that give back in a meaningful way? The American Diabetes Association Gifts of Hope program is the perfect solution. It not only offers fabulous holiday decor gifts for everyone on your list, but the proceeds from those gifts go towards funding ongoing diabetes research, education, and advocacy. Did you know that over 9% of Americans have diabetes? Nearly all of us have a connection to the disease, whether we’re personally afflicted by it or have a loved one living with it. Giving Gifts of Hope is like giving two presents in one. Take a look at a few of my favorite items, then read on to learn more about why the American Diabetes Association Gifts of Hope program is so important. Now that Thanksgiving is over, let the decorating begin! I always wait until the weekend after Turkey Day to break out my holiday décor. This year, thanks to the American Diabetes Association Gifts of Hope program, I have two new beautiful items to kick off my decorating spree. Looking for a meaningful way to deck those halls? You’ll love the Festive Felt Advent Wall Calendar! I have it hanging on my wall right now, courtesy of the American Diabetes Association! I can’t wait for December 1st to arrive so I can start counting down. It’s a beautiful addition to your holiday décor. 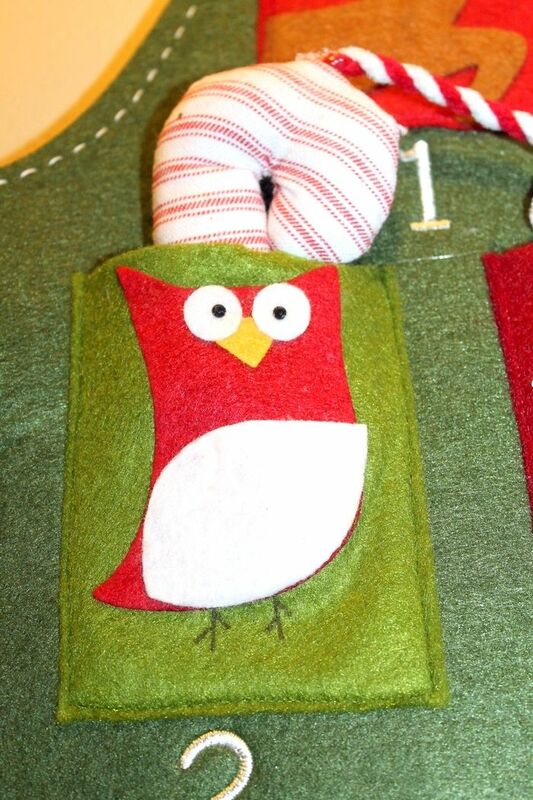 Each pocket features a different holiday motif and is just the right size for hiding small treats. My son is definitely excited about that! He loves having a little surprise to look forward to each day. At just over 34-inches, the calendar makes a gorgeous statement where ever you decide to hang it. I have mine hanging in my entry way. Which gift ideas from Gifts of Hope do you love the most? Share in the comments! The 2016 Gifts of Hope Collectible Ornament is an elegant way to show off your support for loved ones with diabetes. It’s perfect for hanging on the tree, your wall or even in your office. I will hang mine on my tree once I get it up. I think it will look even more beautiful with the lights twinkling through it! In addition to beautiful holiday décor, Gifts of Hope also has plenty of great gift ideas for everyone on your list, from mom and dad to kids to even the family dog! Finding great gift ideas for babies is always a bit of a challenge. This darling set comes with a terrycloth baby bird that’s perfect for snuggling, and three pairs of adorable socks to keep those tiny toes warm. Older kids will get a kick out of the Fun Flying Shrieking Monkey! Toss him around the room and listen to him shriek happily when he lands. This makes a fun stocking stuffer idea for kids of all ages (and even adults too!). Help your favorite cook whip up healthier tasty meals with one of the fantastic books set from the American Diabetes Association Gifts of Hope program. Some of the sets come with fun complementary gifts, such as a grilling thermometer or magnetic measuring cups. Fill this red frame with a photo of the kids to give to grandma or keep it empty and give it as a hostess gift. The color is the perfect complement to your favorite holiday pictures! It fits standard 4×6 photos and comes with an easel so you can stand it up or hang it on the wall. You’ll even find fun stuff for your cats and dogs! These magnetic pet bowls stay on the tray thanks to super strong rare earth magnets. I definitely need this in my house! We keep the cat’s food up on a table so the puppy doesn’t get into it. Unfortunately, my cat Alex thinks it’s funny to knock the bowl on the floor for her. This would solve so many problems! As I mentioned earlier, when you shop through the American Diabetes Association Gifts of Hope program, you’re helping to support diabetes research as well as educational and advocacy initiatives. Last year, ADA funded $33.5 million worth of research to help fight diabetes. Along with fighting to find a cure for the disease, ADA also provides services to communities in need. They also advocate for many, many people to ensure that no one is discriminating against based on diabetes. This includes fighting to make sure millions of children have health insurance. Diabetes is a disease that impacts so many people every day. By shopping Gifts of Hope, we can help make an impact and work towards finding a cure together. Check out the full catalog and give truly meaningful gifts this holiday season. Visit American Diabetes Association on Facebook, Twitter, Instagram and Pinterest to learn more and keep up with their news. These are definitely some great gift ideas! I love gifts that give back! I LOVE The advent christmas tree! It looks awesome hanging on the wall! I love how you can give back with such little effort, it seems like more people would be willing to help this way. What a great gift ideas! I love the though of giving back. These are perfect ideas for a large range of people, and I absolutely love that they all give back! Such great ideas all for such a great cause! I love that Advent calendar – it’s so pretty and festive! These are all so great, I’ll definitely be looking at these! Thank you for sharing! The American Diabetes Association Gifts of Hope program is a fantastic way to get some Christmas shopping done. I love to be able to give back buying the things I would have anyway. I love all of these selections. The healthy book sets would be awesome to have. I am so happy that there are gift you can give that keep on giving by supporting such a great cause. I loved the red frame. I really love when a purchase makes a donation in some ways. This is a great cause and gifts that give back are the best ones. I love gifts that give back! I am going to be keeping these in mind. I love the socks. It is nice to be able to get gifts that help others. There are some great ideas here! I love advent calendars! The Cozy Baby Bird and Sock Set is my fave. I love that it gives back and is two gifts in one. Diabetes runs in my family so I like the idea of shopping and giving back at the same time. This is a great list. Its nice when companies give back. What a thoughtful list of gifts. Christmas is a time for hope! These are some nice gifts. I like the give-back for a diabetes cure. these are cool stuff! I love supporting companies that give back. Checking these out! This is really great. I LOVE being able to do two things at once and donate while shopping. Theres something so satisfying about that! That baby bird and sock kit is so cute. And it’s useful too. Babies are always losing their socks. I love when I can get my holiday shopping done AND be able to donate to a good cause too! I like the idea of giving a nice gift that also helps a good cause. The magnetic bowl and tray sets could be a nice gift for our cats this year. These are great ideas. I love gifts that have two purposes. Diabetes is a terrible disease, so I love that every purchase made goes to help with Diabetes. This is such a wonderful idea. These are great ideas that you’ve shown us. The best part of this is that every purchase goes to help those who really need it.